Pretty Cute Stamps Monthly Challenge - Include Ribbon! Are you participating in this month's challenge over on the Pretty Cute Stamps blog this month? I hope so! It's a pretty easy one...just include ribbon on your stamped project and share it with us! This month I used the Forest Friends stamp set and picked out the little deer and colored him with colored pencils and added a bit of bling using glitter glue. Simple and sweet! Thanks for stopping by and I hope you decide to join in on the fun! 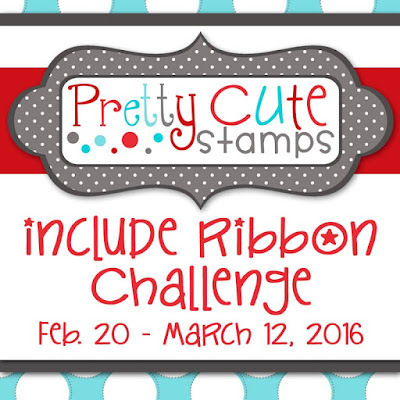 February Blog Hop for Pretty Cute Stamps! 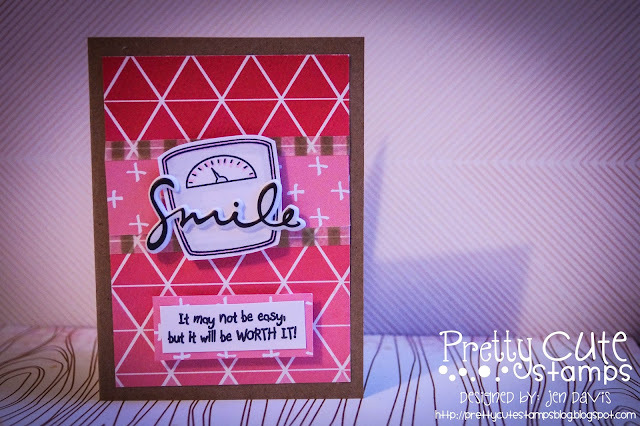 Hello there and welcome to the February Blog Hop for Pretty Cute Stamps! I'm so glad that you are here! If you came here from Karla's blog, you are in the right place. 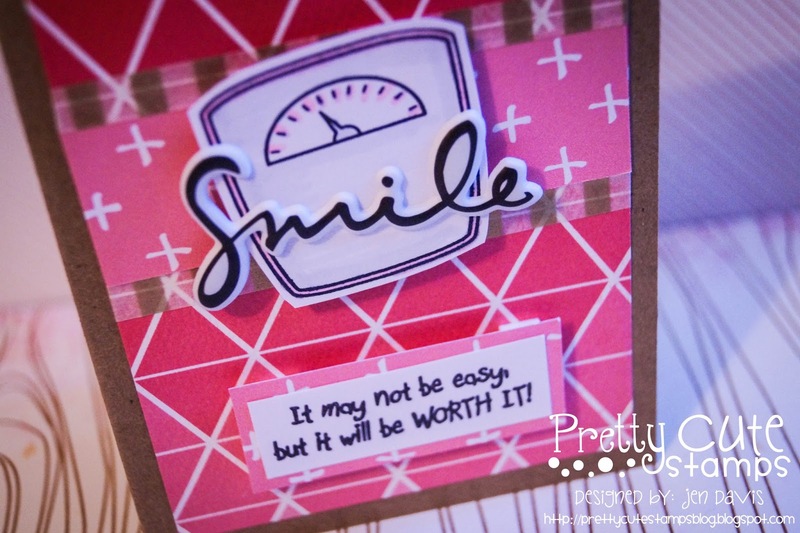 If you just stumbled upon this post and would like to start from the beginning, please visit the Pretty Cute Stamps Blog. 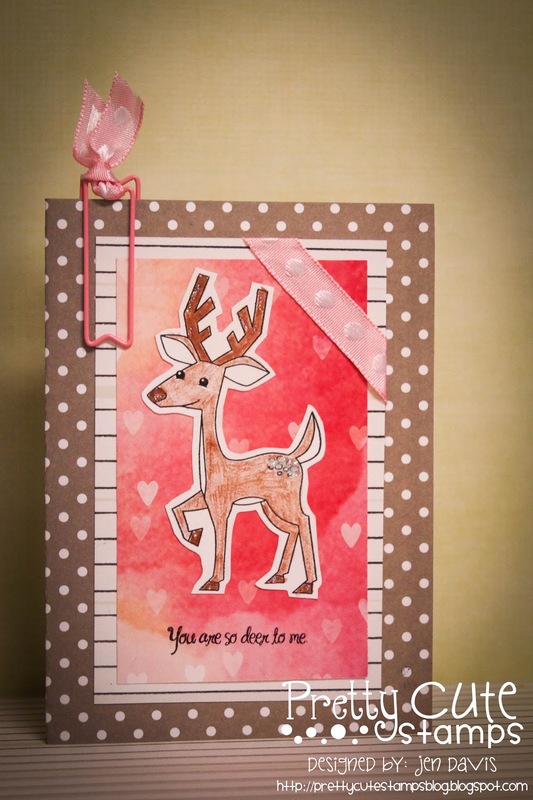 We are sharing projects featuring the new stamps that are now available in the Pretty Cute Stamps store. 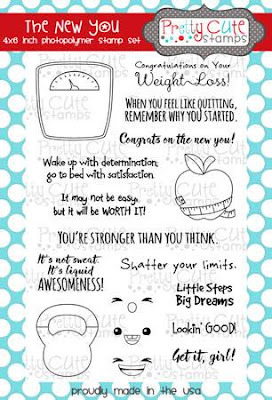 The stamp set that I used for this card is "The New You" and it is such a fun and inspiring set! The blog candy for this hop is a $15 Gift Certificate to the PCS Store. For a chance to win, you must leave a comment on each blog along the hop. For extra chances, you can also "LIKE" Pretty Cute Stamps on Facebook and/or sign up for the Pretty Cute Stamps Mailing List. A random winner will be chosen for the prize on Monday, February 22, 2016. Bonus is that ALL New Releases will be on sale through February 23, 2016, and you can save even more by purchasing the February 2016 Stamp Release Bundle if you wish! Thanks again for stopping by and please hop on over to Amy's blog to continue on in the hop! Have fun! !